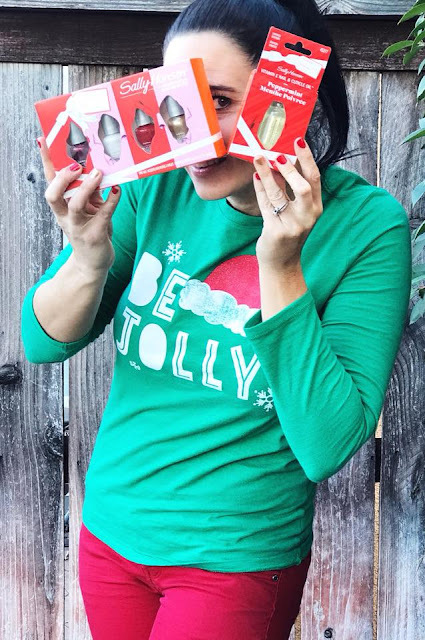 One Not So Bored Mommy: Stuff Your Stockings Full Of @SallyHansen Products This Christmas! 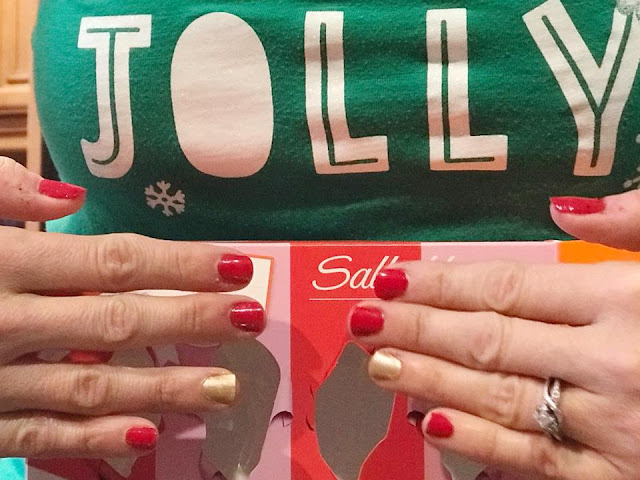 Stuff Your Stockings Full Of @SallyHansen Products This Christmas! Stuffing stockings is so much fun to me! Wait, isn't that Santa's job? 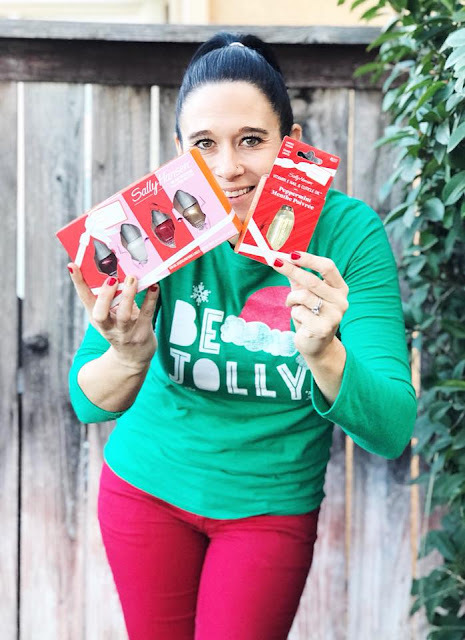 I love gift giving period, but finding the perfect little treasures to put into my kid's stockings makes me all warm and fuzzy inside! 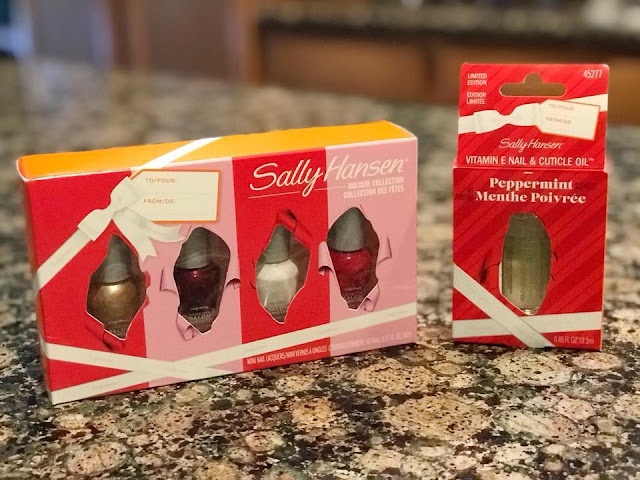 Did you know that Sally Hansen has the perfect LIMITED EDITION Complete Salon Manicure Mini Sets, as well as LIMITED EDITION Sally Hansen Vitamin E Nail & Cuticle Oil in Peppermint? I can think of a couple girls in my family who would love getting these gift sets in their stockings on Christmas morning. 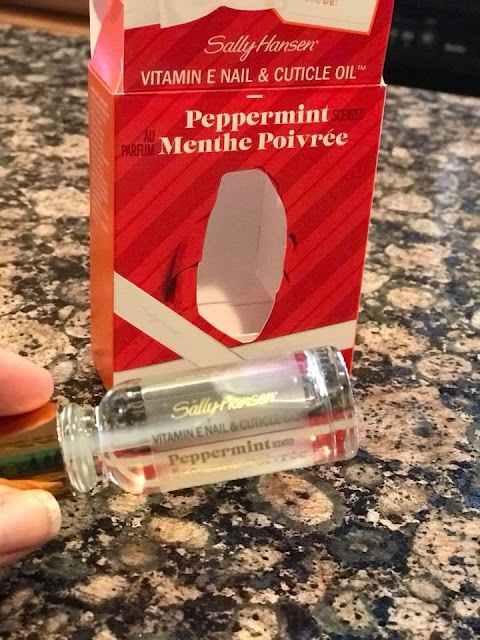 The Sally Hansen Vitamin E Nail & Cuticle Oil in Peppermint has a light scent of peppermint (it's not overwhelmingly strong). It's funny, because I was just noticing at work today how dry my hands and especially my cuticles are! So this really could not have arrived at a better time! It's super easy to use too! 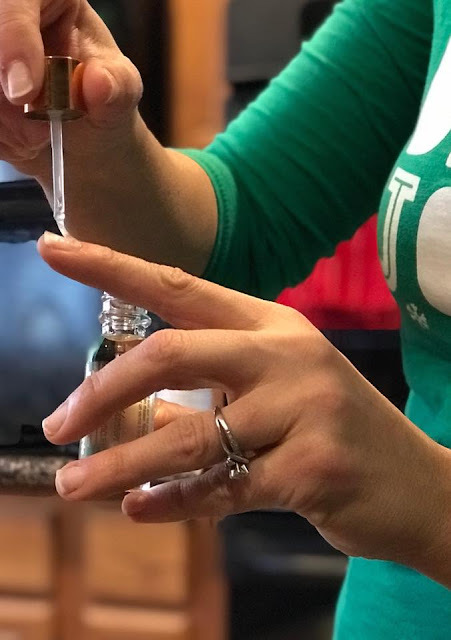 Just like at the nail salon...you apply it to the cuticle, rub it in and then wash your hands thoroughly before painting your nails. TRUST ME...it makes a huge difference in the dryness of my cuticles (where I typically pick and bite) and my overall nail bed itself. 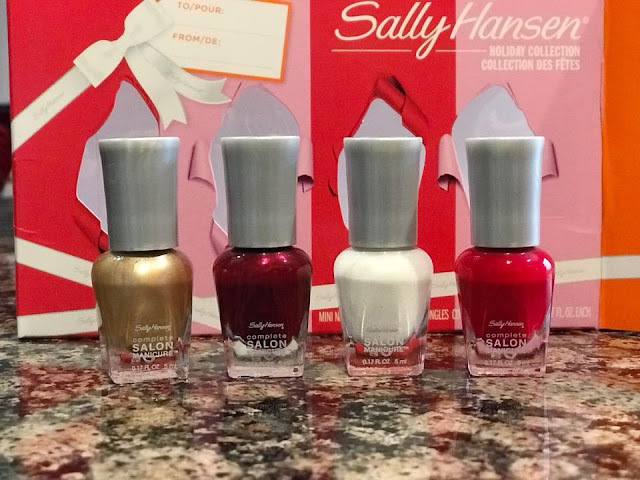 Their adorable Sally Hansen Complete Salon Manicure Mini Sets offers four great mini bottles of nail polish in some fun FESTIVE colors. We received Red My Lips, Let's Snow, Wine Not and Fool's Gold. I chose to paint my nails with the Red My Lips and the accent nail in Fool's Gold and I love my "holiday ready" nails. BRING ON ALL THE PARTIES!! The best part about it, the polish is CHIP RESISTANT and offers the benefit of seven different things in one bottle. 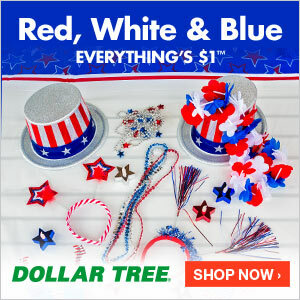 I love the bright festive colors too! Perhaps you've got a few people in mind that would love these products? Perhaps you need these to get your nails ready for all the Christmas fun about to happen? 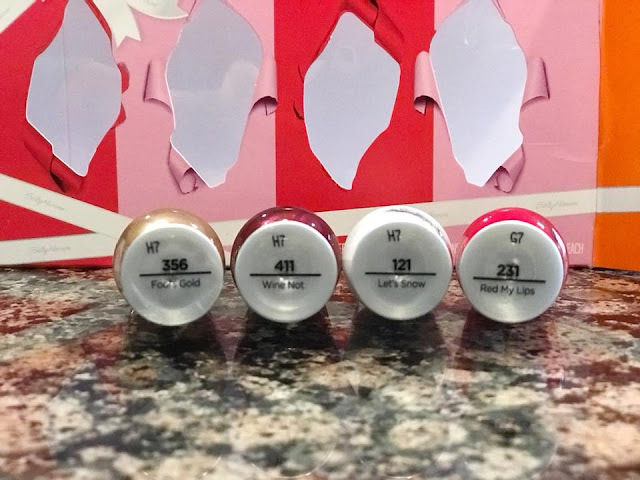 CLICK HERE to learn all about Sally Hansen products and where you can buy them!